In cooperation with the PhysicalMind Institute of Canada, KW Pilates offers several Pilates training certification programs and specialized courses each year. These courses offer some of the most innovative and cutting edge knowledge and practical application in contemporary movement systems with a functional and rehabilitative approach, focusing on ease and efficiency of movement. In cooperation with the Physicalmind Institute of Canada, Stephen Filipowicz, of KW Pilates, will be offering a Pilates Mat training certification. This 60-hour mat Pilates certification prepares students to teach classes of all levels. The training consists of Pilates Mat, Standing Pilates® and Practical Teaching Workshop. Pilates Mat: (24 hours) Students will learn, practice and teach 14 Mat Fundamental exercises and 36 Classic Mat Exercises. They will develop a deeper integration of the repertoire into their own body, resulting in a more effective ability to teach. Breathing: How it relates to the abdominal muscles and how it affects movement. Correct body mechanics, appropriate anatomy and postural alignment. The benefits of Pilates: Core stability, joint mobility, muscle tone, organ function, and overall strength and flexibility of the body. Standing Pilates® (24 hours) This course adapts many of the classical Pilates mat exercises and takes them into the vertical plane. It provides the link between Pilates floor work and everyday functional movement, aiding in neuromuscular re- patterning of movement habits. Learn the 13 new Advanced Fundamental exercises and 24 of the Classic mat exercises reconfigured to Standing Pilates®. Proprioception, balance and coordination enhancement: great for athletes, dancers, those who work at a desk and the aging population. Deep core strengthening: benefitting people with incontinence issues or postnatal mothers. Increase in bone density: helping to prevent osteoporosis and benefitting those with osteoporosis. Practical Teaching Workshop: (12 hours) This workshop will equip students with the knowledge and practice they need to confidently teach a Mat Pilates Class. With a strong focus on hands-on cueing, Practical Teaching will give them the necessary tips, feedback, and encouragement to make the transition into becoming a teacher. Individual feedback will be given for each trainee on teaching style, voice quality and class design. CLASSES WILL TAKE PLACE EVERY TUES. AND THURS. IN JULY AND THE 1ST FRIDAY OF AUG.
June 11 is the cut off day to register for this course. There needs to be at least 2 participants for the course to run. 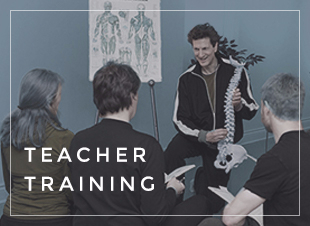 Designed to give existing teachers a safe and functional repertoire to work with aging, pregnant and rehabilitating clients. This course offers adaptations to existing fundamentals and exercises, as well as new exercises specifically created with the modified body in mind. This is a one day course for Pilates Instructors certified in Apparatus who are looking to expand their understanding of Pilates and improve their teaching techniques. The 30 exercises of this course are all new choreography based on Pilates’ original exercises and transferred to the vertical plane on the Reformer, Cadillac and Chair. This provides the link between Pilates floorwork and everyday functional movement and aids in neuromuscular re-patterning of movement habits. Apparatus Standing Pilates® helps move us towards better alignment and efficiency; a truly functional approach to fitness. Sliding Pilates was created by Marta Hernandez, Director of the PhysicalMind Institute Canada. It incorporates the work of the Reformer and the Classic Mat exercises to create a complete and complex workout. Sliding Pilates focuses on the circularity of movement by creating the opportunity for the breath and movement to loop back into itself. This allows for increased continuity and integrity and a more advanced style of physicality. Sliding Pilates uses movement in a variety of dynamic planes. Sliding discs are used on the floor guiding arm and leg movements while offering the opportunity to utilize deeper muscular connections. These gliding movements condition the body by offering motions that increase fluidity of the spine, open the joints and stretches the musculature of the body in a supportive and strengthening manner. These sophisticated concepts and principles of movement are explored in greater depth in this course.